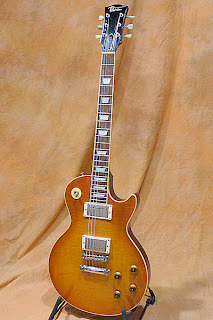 A good buddy of mine is on a quest for his ultimate Les Paul and he has kindly agreed to let me document his ongoing research and correspondence with the various luthiers, pickup makers and hardware manufacturers. Thanks Sherman! And having owned several Gibson Les Pauls in the past, he initially had his sights set on one of the obscure Japanese manufacturers. 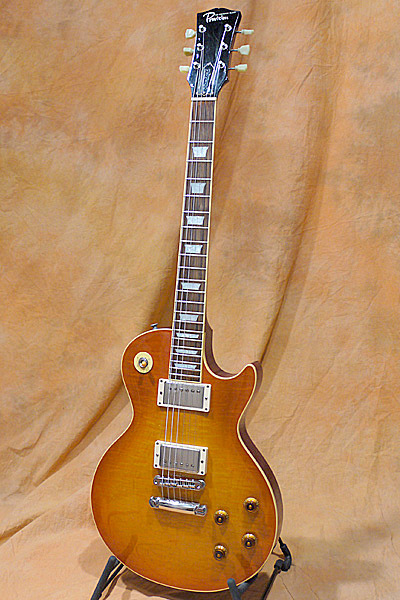 Like this Provision Les Paul. Largely unknown outside of the US, Provision makes mid to very high-end Les Paul copies in limited runs. From Ishibashi Japan's U-Box listing of used instruments, this axe features a nicely flamed, solid maple top, mahogany neck and body and comes equipped with Seymour Duncan 59N and JB pickups. It was listed on Ishibashi's U-Box for 140,952 yen or US$1854. This was Provision's mid-level model, so the price brand new would have been in the US$2500 region. Pretty crazy I know. So why would anyone want to pay that much for a no-name guitar? Folks, it's all about attention to detail and looking past that unfamiliar name on the headstock. 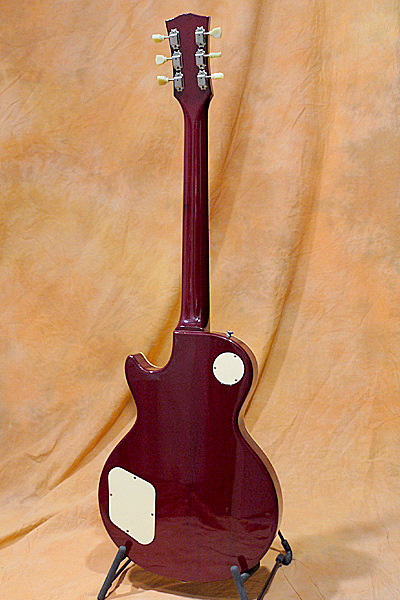 Gibson's quality began to flag in the early '90s. My theory is that one Saul Hudson aka Slash suddenly drove demand for Les Paul guitars through the roof and Gibson were caught off-guard and were unable to crank them out fast enough. In the process, quality was sacrificed. And thanks to Slash's popularity, almost overnight Gibson guitars appeared with dodgy craftmanship -- sloppy finishing, rough fretwork with sharp fret ends and misaligned pearloid fingerboard markers inlaid into oversized slots with a huge amount of surrounding wood filler. 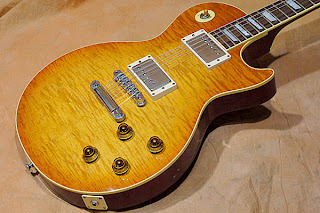 What better conditions for a high-end Les Paul-copy market in Japan to suddenly fluorish and prosper, appealing to a culture that is positively fanatical about details. This particular guitar sold out pretty quickly from Ishibashi's listing despite the numerous dings and dents that pervaded the headstock, sides and back. Stay tuned for upcoming instalments of the Les Paul Quest!